Another model technically classified as a 2016, the Aprilia Tuono is one of our favorite naked sportbikes and was nearly perfect the way it was. That said, Aprilia made it better by turning to the oldest trick in the book: giving it a bigger engine and more power. 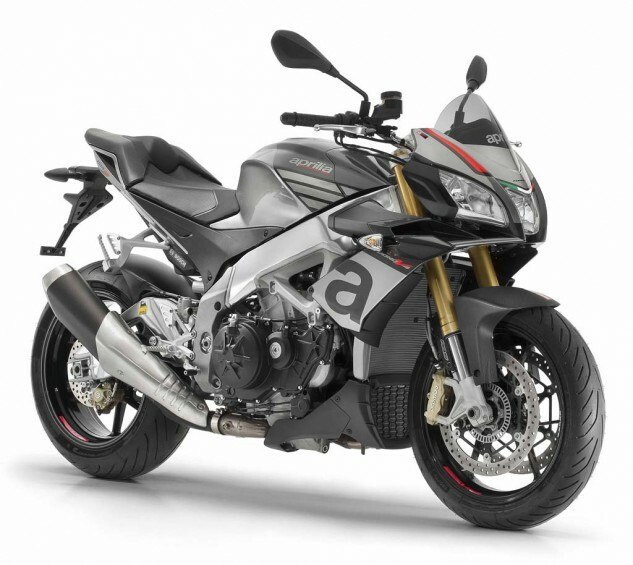 As the name suggests, the Aprilia Tuono V4 1100 gets bumped up to 1,077cc. It’s putting out five more horses at peak (175 hp), and a whopping 20 more hp at 8,000 rpm, according to Aprilia. That’s enough to get our mouths watering, but refined electronics, including updated traction control parameters, should be plenty of fun to test at the track. Cooler than that is the trick version of Piaggio’s Multimedia Platform, which turns a smartphone into an onboard multifunctional computer and offers corner-by-corner adjustment of the APRC electronics to suit different portions of a race track. Now that’s trick! Price is still to be determined at press time.